The Imagine Cup is one of the world's premier student tech competitions. Students compete in different categories like Software Design, Game Design, Windows Phone 7 and more. The competitions begin each year with local events in over 100 countries. The best of the best will then participate in the worldwide final. The 2011 Imagine Cup Worldwide Finals will be held from 8 - 13 July in New York City, USA. I'm very honored to take part in the Imagine Cup 2011 Worldwide Finals as a judge in the Windows Phone category. The Windows Phone judges consist of two community members and two Microsoft employees. There's also a People's Choice Award where everyone can vote for their favorite team. Can you say no if Eva Longoria asks you to vote? You can find a list of all the Windows Phone finalist teams here. All the teams have built great solutions around the theme for 2011 Imagine a world where technology helps solve the toughest problems. DREGON by team "Digitron-WP7" from Belgium. Peekaboo by team "HOMERUN" from Korea. Hot Potato by team "Zipi Zigi" from Korea. Recyclocator by team "Code Instincts" from Singapore. Lifelens by team "The LifeLens Project" from USA. Cubelicious - Silverlight 5 + Balder + Physics + SLARToolkit Augmented Reality = Triple Win! Two months ago I released a new Silverlight 5 sample for my open source Silverlight Augmented Reality Toolkit - SLARToolkit. It uses the new Silverlight 5 hardware accelerated 3D API. You can read more about the new Silverlight 5 XNA 3D API in this blog post. This post here provides a new demo for SLARToolkit which uses the open source 3D engine Balder by my friend Einar Ingebrigsten. This demo also leverages the open source physics engine JigLibX my buddy Andy Beaulieu ported over to Silverlight. You can try the live sample if you have the Silverlight 5 beta installed or watch a video instead. I actually spent most of the time on this project a couple of weeks ago. 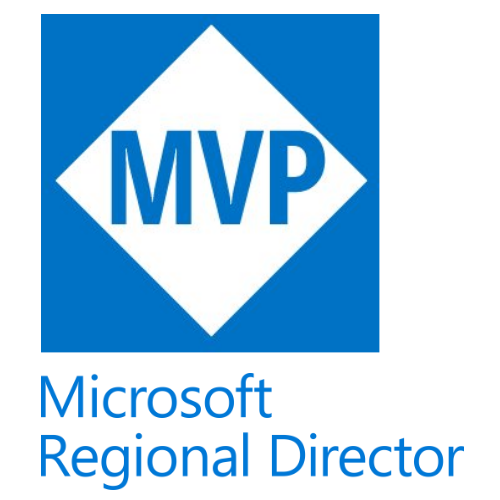 My good Silverlight MVP friend Einar Ingebrigtsen used it in his talk at The Gathering 2011. Now I finally had a bit time to finish the demo, make a video and this blog post. Simply press the "Start Cam" Button to start the webcam. The properties of the particle system can be changed with Sliders. The "Flip x-axis" Checkbox can be used to flip the video (the webcam output is mirror-reversed by default). If you click the "Start Cam" Button for the first time you need to give your permission for the capturing. This application uses the default Silverlight capture device. You can specify the video and audio devices that are used by default with the Silverlight Configuration. Just press the right mouse button over the application, click "Silverlight" in the context menu and select the "Webcam / Mic" tab to set them. 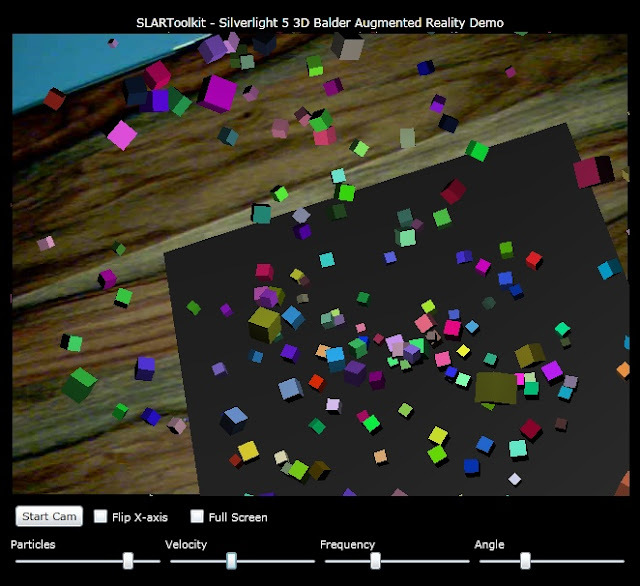 This demo shows how the new Silverlight 5 3D API, the Balder engine and the JigLibX physics library can be used to augment the reality with the help of SLARToolkit. This sample uses the webcam video stream which fills a Rectangle shape, the video stream is also constantly captured and fed to the SLARToolkit BitmapMarkerDetector to detect the markers. The detection result contains a transformation matrix for each found marker which is then used to apply a global transformation to the cubes and the plane. I implemented a particle system with a flexible directed emitter which can be controlled through various properties. 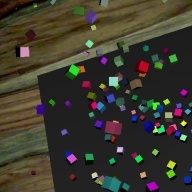 The particle system is quite generic and can be used for all kinds of particles (3D objects). The particle collision detection and resolving is based on rigid body physics that was implemented with the help of the JigLibX library my Silverlight MVP buddy Andy Beaulieu ported over to Silverlight. The rendering and the model loading is done by the 3D engine Balder. It's a fantastic open source engine by Einar Ingebrigtsen. You just need to write a couple lines of XAML and you're good to go. This sample only uses a simple cube model, but Balder has built-in model loaders to load complex 3D models and Einar provides a big sample library. He also brought the engine to a few more platforms like Windows Phone 7, OpenGL and has even a neat software rendering fallback. Read his blog post here. As part of this sample I needed some vector and quaternion methods which were missing in Balder. I contributed those and the generic particle system to the Balder project. Feel free to use the particle system and the other methods in your Balder projects.